June is Aboriginal (Un)History Month! The “un” in “Aboriginal (Un)History Month” represents the continuing importance and relevance of Aboriginal peoples in Canada and around the world. Join us in June on the main floor of UBC’s Irving K. Barber Learning Centre, located on unceded Musqueam territory, for this year’s Aboriginal (Un)History Month exhibit. This year’s exhibits focus on some of the programs for Aboriginal youth that take place each spring and summer at UBC, operated by a range of UBC programs and departments, but all to a single objective—giving younger Aboriginal students a great experience, and a taste of university life. One of the requisites of having goals is having imagination—the ability to imagine oneself in a different circumstance, and imagine the steps that would lead to it. Often that act of imagination is made possible by knowing someone who has been in that circumstance and hearing how they got there. For many people, imagining themselves in university begins with parents’ or other family members’ experience, the knowledge that they were able to get there, and the expectation that they may have that other family members will follow. The ability to imagine and the expectation that one will be able to follow are parts of what forms social capital—the hidden forms of wealth and support that help people move forward towards success. While circumstances are now changing, many Aboriginal families are still emerging from a long and difficult history in which formal education was denied and expectations of success were low. Programs that bring Aboriginal students to campus to learn about science or other subjects, help students imagine higher education and a future that includes them. A program such as the Native Youth Program at the Museum of Anthropology gives Aboriginal students the chance to learn more about the many Aboriginal cultures represented in MOA’s vast collection, and develop the confidence and skill to lead tours and share their knowledge with visitors. Not only can they develop their capacity to imagine themselves as knowledgeable future leaders, they become knowledgeable leaders right now, before the summer ends. Summer Science prepares you for college or university. It helps you discover an educational vision for your future!  It exposes you to campus life at UBC and the facilities available on several campuses in the Lower Mainland. Students attend workshops or classes sponsors by science-related faculties at UBC. These include faculties or departments such as medicine, anatomy, forestry, engineering, physics, biology, rehabilitation sciences, etc. Students get a chance to meet First Nations role models studying at UBC and those working in science-related professions. The Centre for Excellence in Indigenous Health has hosted the annual Summer Science Program since 2014. The program first started in 1988, overseen by the Institute for Aboriginal Health. 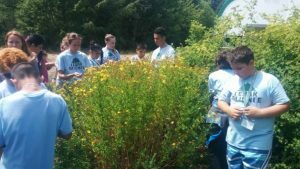 The Summer Science Program brings together Indigenous high school students from urban and rural communities throughout British Columbia and other parts of Canada for a culturally relevant and holistic learning opportunity designed to encourage the pursuit of post-secondary education, particularly in the science and health fields. The Summer Science Program aims to stimulate students’ interest in health and science careers. It provides them with information on post-secondary pre-requisites, course planning, and admissions processes, as well as offering a holistic educational experience that considers and includes Aboriginal cultural practices. The Summer Science Program provides Aboriginal role models in the health care and science fields and incorporates cultural knowledge into daily activities. In addition to gaining valuable insight into future academic and career choices, students make friends and memories that will last a lifetime. Based on the concepts of the Medicine Wheel, the Summer Science Program integrates Aboriginal cultural values into its curriculum by providing students with a balanced and holistic educational experience. Emotional: Elders facilitate daily talking circles to incorporate emotional awareness and well-being into daily activities. ese circles allow students to express emotions in a safe space surrounded by traditional teachings, songs, and wisdom. Students also write in journals daily. Mental: Academic programming focuses on the students’ intellectual needs. They are encouraged to challenge themselves mentally and develop critical skills through interactive presentations and conversations about career options with staff and volunteers. Physical: Students participate in daily physical activity every morning as well as additional sports throughout the day. Students are encouraged to help staff and volunteers prepare nutritious meals, while Elders share teachings about food, meals, and cooking with the students. Spiritual: Students attend workshops about topics such as healing properties of traditional medicines. Drum workshops have allowed students to bond non-verbally and feel pride in their Indigenous heritage. They have also been taught to smudge with abalone shells, sage, and sweet grass. The majority of staff and volunteers at SSP are Indigenous, and most volunteers are current or former UBC students. This is important as it provides the youth with a group of diverse Indigenous role models including Elders and post-secondary students and graduates. Ch’nook Cousins is a mentorship program for Aboriginal youth from across British Columbia who have an interest in pursuing post-secondary business studies. We equip high school students with the basic self-advocacy skills needed to successfully plan out, enroll, and fund their education, while also introducing these students to the vast array of career options available to them by pursuing business education. Early Engagement: We facilitate Cousins Events for students from grades 9 – 12. Early interaction with high school students fosters increased skills acquisition and allows for early-goal setting and greater ease for meeting targets. Skills Development: We provide mentoring workshops to teach multi-faceted skills, allowing for life-skill development as well as introductory knowledge of business education. Skills to time-management, scholarship application letters and budgeting. Self-advocacy: As many Aboriginal youth are still First Generation (the first generation of their immediate family to go to post-secondary) it is essential that these students begin learning about student support services that can help to ensure their success, and how to access these services before they arrive at post-secondary. Mentorship resources through Ch’nook Scholars: We foster a family-like relationship between high school students and post-secondary students. The Ch’nook Scholars are still of an age where they can relate to Ch’nook Cousins’ questions and concerns, and are able to provide them with first-hand answers and advice. Ch’nook Cousins are encouraged by the knowledge that others have faced and overcome the same challenges. Relationship Development: Ch’nook has a trusted relationship with Secondary Schools across BC. We assist with youth career development and life-skills development as well as providing moral support to youth who see the potential in business education. Useful Resources: We provide a range of career development resources on the Ch’nook website, including videos on leadership, and updates on events and opportunities all across BC. Ch’nook Cousins are also encouraged to participate in the Ch’nook Facebook page, where they can post questions regarding their post-secondary education planning. and Food Systems; as well as the First Nations House of Learning. Cedar focuses on preparing Aboriginal youth for futures in post-secondary science education. Cedar campers get a tour of the education and research being conducted by students and faculty around campus. They also take part in daily arts & crafts and outdoor recreational activities. All the while, campers learn about the wealth of post- secondary educational opportunities that exist right in their own backyard. Cedar programming focuses on balance and respecting the spiritual, emotional, mental, and physical parts of ourselves. Activities will focus on con dence building, teamwork, and self-re ection to help campers realize their own potential both within and outside of the classroom. The Native Youth Program (NYP) is a youth summer program that has been in place at the Museum of Anthropology (MOA) since 1979. Each year, six urban Aboriginal youth (15-18 years old) from the Greater Vancouver area are selected to participate. They learn various aspects of working within a museum environment, including giving public tours, completing research projects, and participating in presentations and workshops by MOA staff. NYP youth make use of museum resources and collections to explore their own identities and gain workforce skills. Through an arts-based curriculum, the program integrates various art forms, such as performance, poetry, visual arts, music, and folk art, for the youth to use as a tool for expression, communication, and self-motivation. Indigenous guest speakers and artists also work with the interns to help them complete arts- and media-related projects. Most importantly, the youth have an opportunity to connect with each other in a supportive environment as they develop new skills. NYP is the longest running Aboriginal youth program in BC, with 182 students over the last 36 years. Learn more on the NYP Blog. In 2015 as a final project, the NYP produced a podcast with CiTR Radio. Listen below.